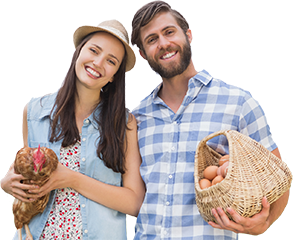 The NestFresh cross-country network of sustainable local family farms brings farm fresh eggs closer to you. 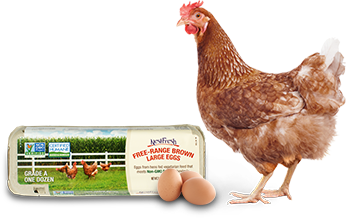 NestFresh offers bulk egg products and custom programs, too. All of our retail products are available in bulk formats for our food service and manufacturing customers. If you don’t see the certification and product state combination you’re looking for, we’re happy to create a custom wholesale packaging option to fit your needs. Contact NestFresh to start a custom program to fit your needs. NestFresh is also the proud producer of Nature Fed Eggs. Our eggs are available in grocery stores and health food markets across the country. Find a NestFresh egg product retailer near you by clicking your state in the map below. If your state or your favorite store isn’t on the map, you can request NestFresh Eggs in your local store or contact us for more information on locations where our eggs are sold.